Let’s be honest—washing clothes and laundry day are two things we don’t always look forward to. While getting rid of a messy pile of clothes can bring a relief like no other, the whole process of scrubbing, rinsing, and hanging them out to dry can really be tiring. 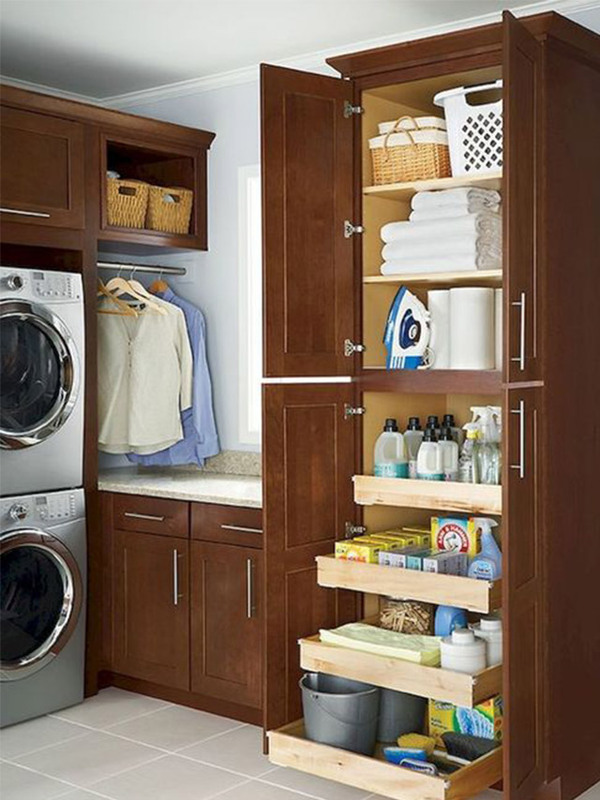 If your current laundry area works, look into storage ideas that can help keep it clutter-free. 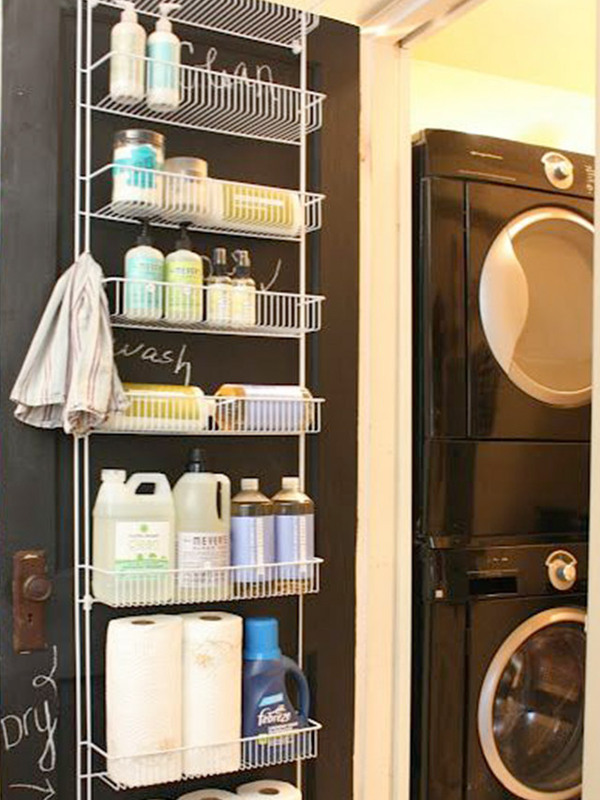 An organizer that can be easily installed on the door can be used to hold detergents, towels, and other essentials. Divide the organizer and assign a tier to the must-haves you use when washing clothes. 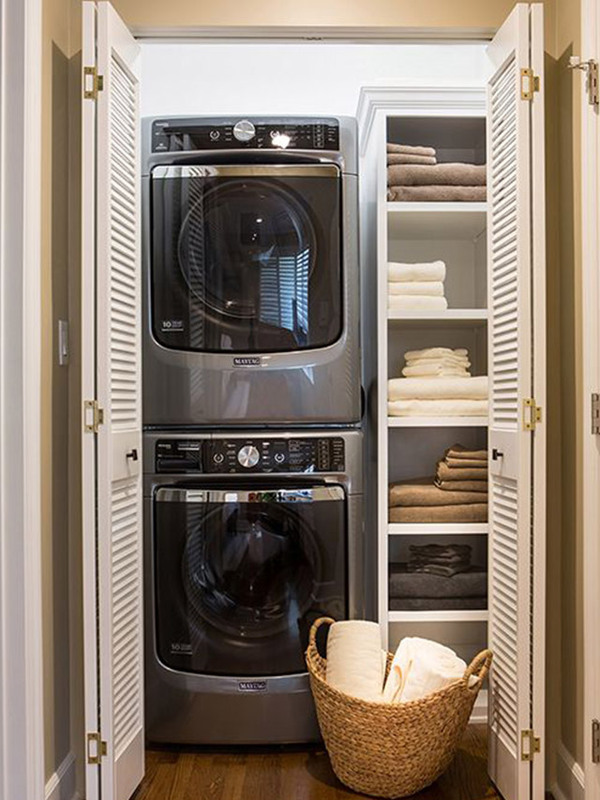 Make sure you regularly clean and organize this part of your laundry area to make working a breeze. Create a country-inspired nook with wooden touches, woven bins, and potted plants. Take your cue from the photo below—the owner opted for wooden walls and countertop to add warmth to the busy space. When choosing wood you can use, palochina is an affordable and sturdy option. Those who are fans of the classic, vintage style can have a cabinet customized to serve as storage center. Multiple drawers and levels can keep your essentials within reach while avoiding clutter. When organizing your cabinet, put the baskets on top and the ones you use often at eye level. You can even have your trusted carpenter create a cabinet with pull-out drawers—that will be chic! 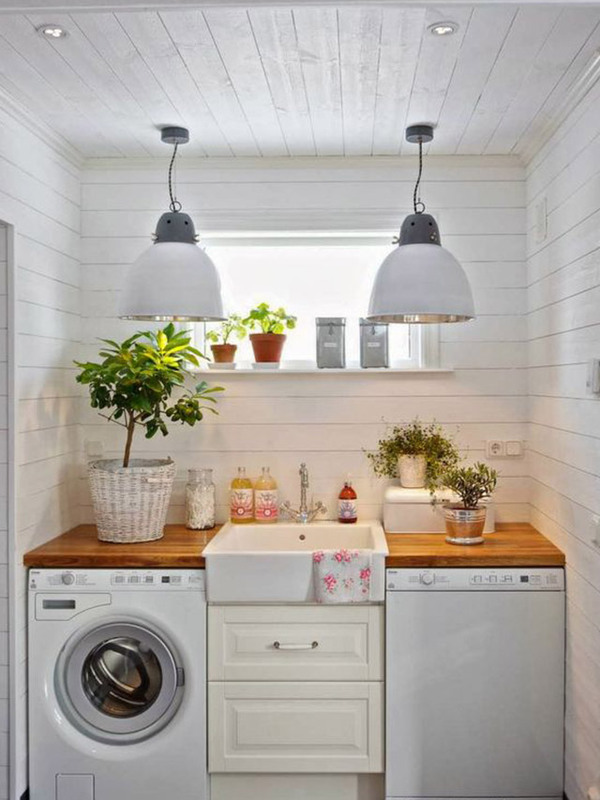 Feel the outdoor vibe and accomplish your tasks by decorating your laundry area with beautiful plants. These can give your space an upgrade and help you create a rustic-inspired nook. 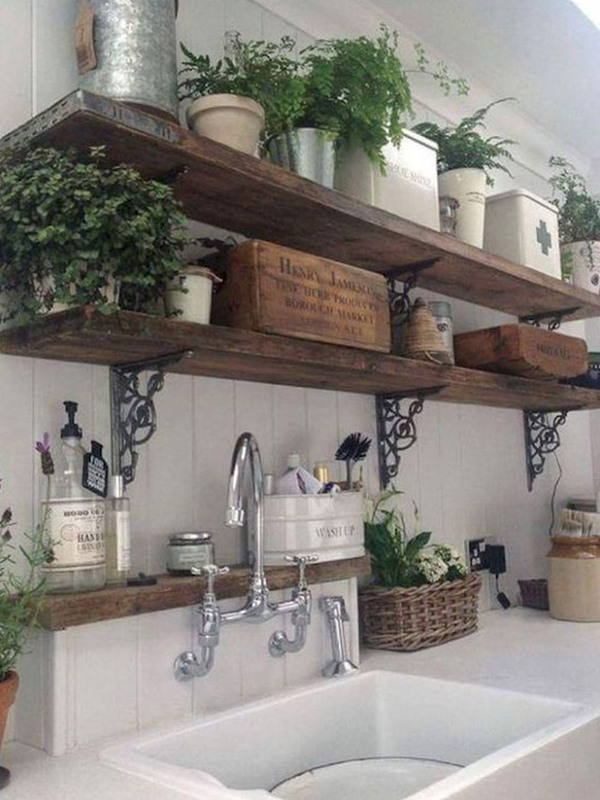 Instead of using the usual wooden shelves, see if you can work with reclaimed wood and metal support for an organic feel. Got an empty closet or teeny-tiny room at home? 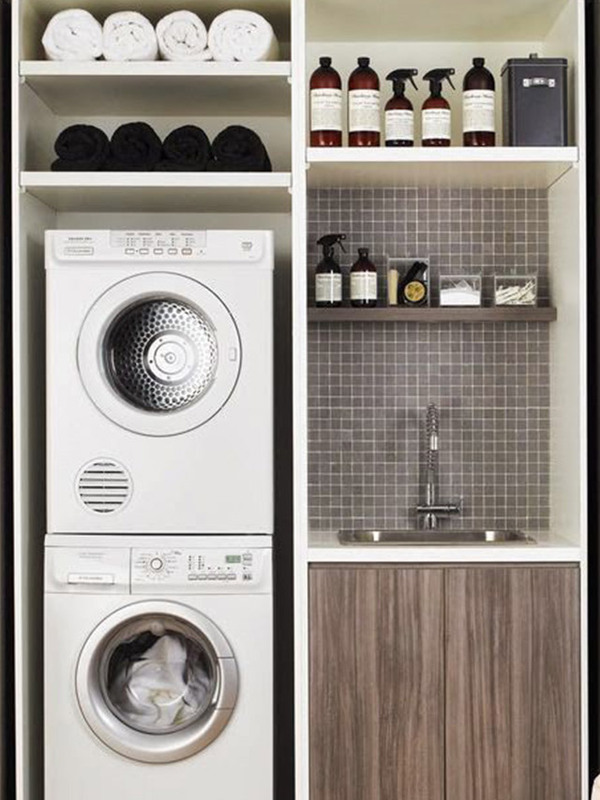 Put it to good use by creating a laundry station. 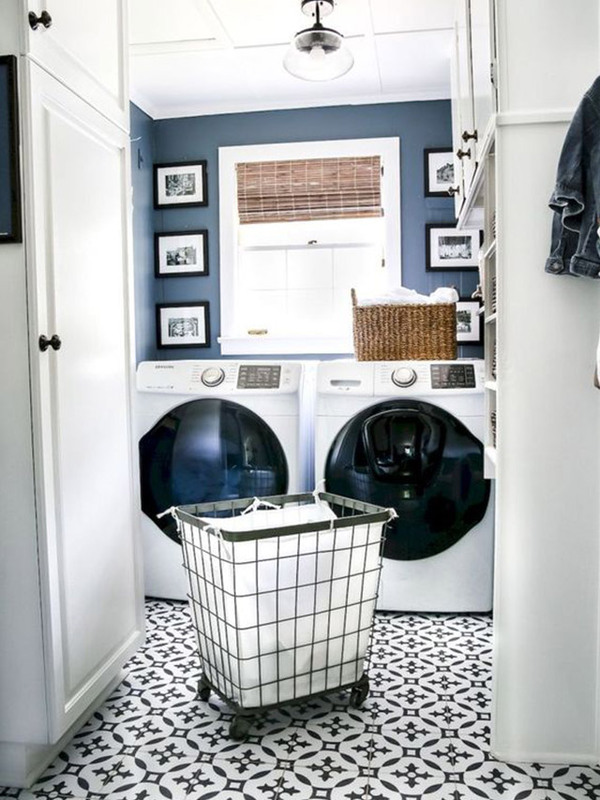 With the help of an electrician, see how you can stack your washing machine and dryer to save on space. Maximize the rest of the available space by incorporating a slim shelf where you can keep hampers, towels, and other essentials. You don't have to settle for plain-looking cabinets and shelves. If you have budget to spare, challenge yourself with a little DIY project. You can paint your laundry nook in a color you prefer—a cheerful shade can instantly liven it up—or work with tiles to spruce up the walls. Working with tiles can give your small space an instant elegant touch. Take your creativity to the next level by sprucing up your laundry area with framed prints and wall accents. If you love motivational quotes, choose your favorite and put it on display. You can also personalize the space with printed lyrics of your favorite songs. Don't forget the lighting. Aside from maximizing natural light, you can also pick and style the area with a pretty lighting piece. 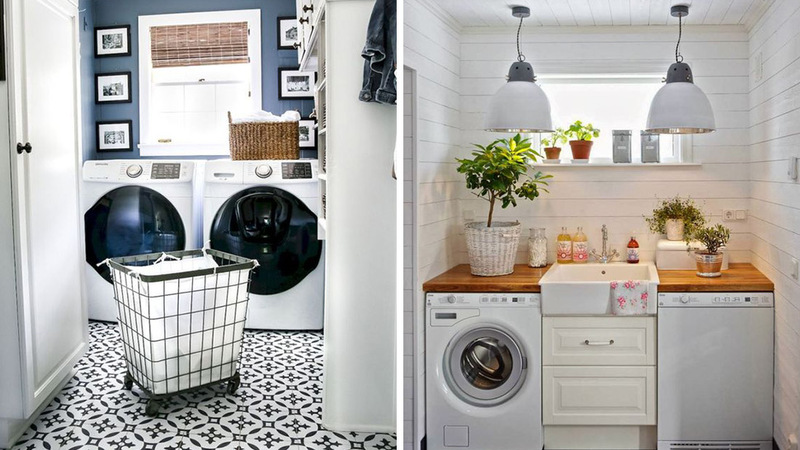 A mini chandelier or an industrial-inspired lighting can add flair to your laundry area. Visit Home Cartel for options.